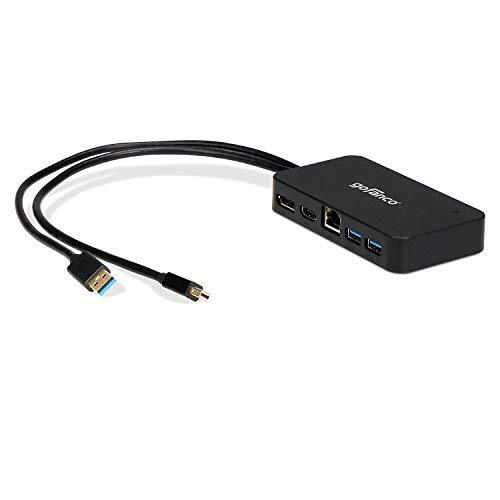 gofanco Mini DisplayPort Video Dock with USB 3.0 LAN Hub easily converts your Mini DisplayPort to HDMI or DisplayPort output and add 2 USB 3.0 ports and a Gigabit Ethernet to your Macbook, Surface tablet, Ultrabook or laptop. Plug this adapter into your system's Mini DisplayPort and USB 3.0 port and enjoy all functionality. ✔ Compatible with Windows 10, 8.1, 8, 7 & Mac OS 10.6 or later. *Note: This product is NOT compatible with MacBook 2015 line. FCC, CE & RoHS compliant. Gofanco was founded by a team of experienced engineers and designers in silicon valley. Our products are backed with a ONE YEAR limited warranty and local tech support. If you have any questions or concerns, please feel free to contact us directly by clicking "gofanco" after "Sold by" then clicking "Ask a question".